Half the fun of receiving a gift is opening it from its package. 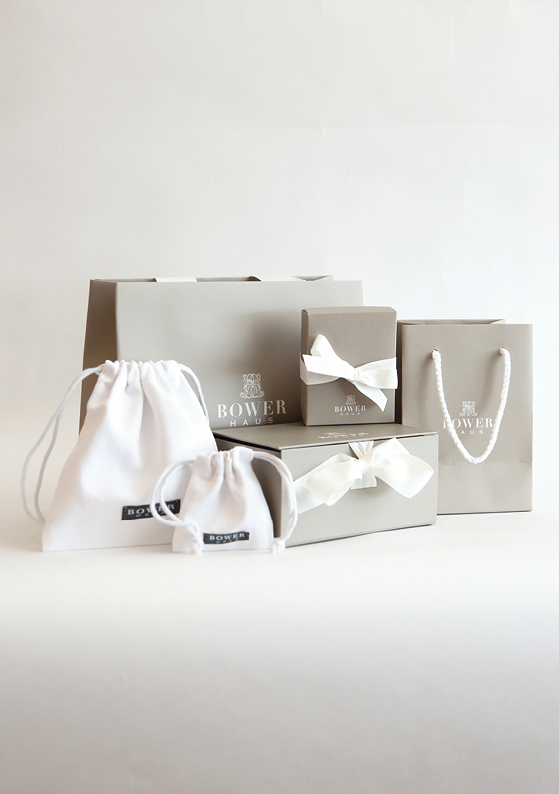 All Bowerhaus pieces are packaged in our signature thick cotton drill pouches then placed in our hard board boxes, tied closed with a grosgrain ribbon. For store bought items they are finished off in our grosgrain handle paper bags.